The director has denied the allegations, which were detailed in an email to the film’s co-producer Vidhu Vinod Chopra. 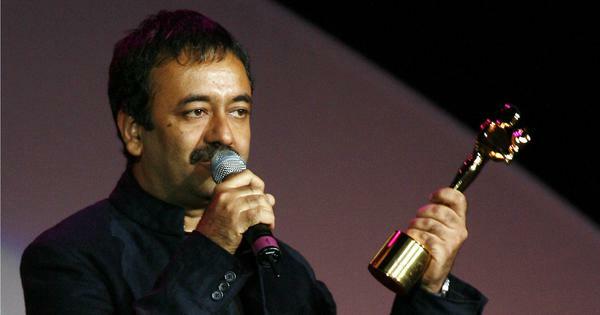 Acclaimed filmmaker Rajkumar Hirani has been accused of sexually assaulting a former employee of his production company, according to a report in Huffington Post on Sunday. The publication said that the unidentified woman claimed in an email complaint that Hirani had “sexually abused her on more than one occasion over a six-month period between March and September 2018”. According to the Huffington Post article, the woman said in her complaint that Hirani first assaulted her in his office on April 9, 2018. On November 2, the woman sent an email about the alleged assault to Vidhu Vinod Chopra, who has produced Hirani’s films since his debut Munna Bhai MBBS in 2003. Chopra is the co-producer of Sanju, along with Rajkumar Hirani Films and Fox Star Studios. Abhijat Joshi, Hirani’s long-time writing partner, also confirmed to Huffington Post that a complaint had been made against the director. “I am here to support her,” Joshi told the website. Hirani is one of India’s most successful filmmakers. His credits include 3 Idiots (2009) and PK (2014). Sanju, a biopic of the actor Sanjay Dutt that starred Ranbir Kapoor, was one of 2018’s biggest hits. His most recent production is Ek Ladki Ko Dekha To Aisa Laga, starring Sonam Kapoor and co-produced with Vidhu Vinod Chopra Films. Directed by Shelley Chopra Dhar, the movie is scheduled for a February 1 release.